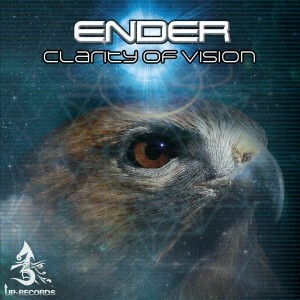 UP Records presents Clarity Of Vision, a fresh collection of sounds from the shores of Australia by Ender, the morning progressive psytrance project of Jesse Sugden from Melbourne, Victoria. The project is amplified by organic spatial elements and styles reflecting the unique sound of the central coast of New South Wales and Northern Riverina area to which Jesse has spent a deal of time. With lush ambience and funked up vibes this is a release to surely please your ears! Featuring NuTone AKA Jesse Newton of Coffs Harbour, New South Wales. Mastered by Gibb Tartaris AKA Reflection. Graphics by Jesse Sugden. MP3 Download | FLAC Download | WAV Download · Download count: 6,804. Awesome release, deep and earthy! Love the chilled but energetic vibes. Nice one Jesse!! Thank you Jesse and Up records for this wonderful trip ! We have much more in the coming week or so on Ektoplazm! A Mahamudra EP & GoldenFinger Album ! !